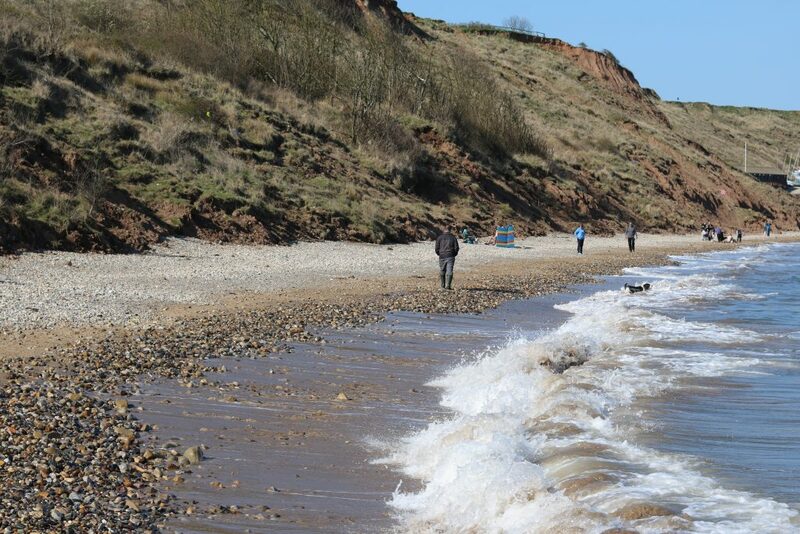 Don’t forget to save loads of money this half-term by having lots of free days out. 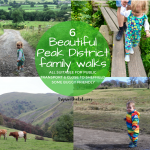 This post has over 57 free day out ideas, most of which we have done and can recommend. 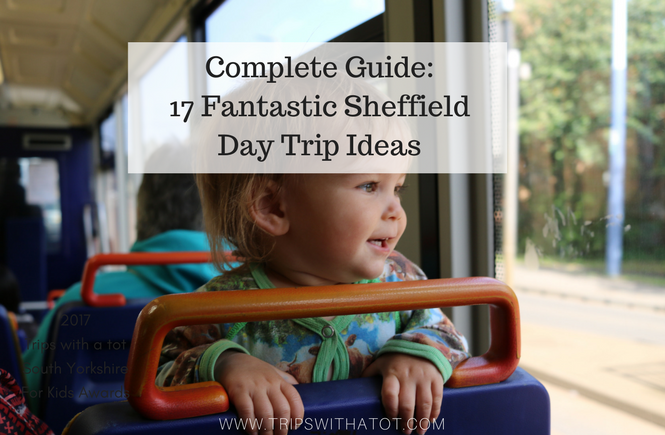 This post is a quick guide to my top 5 favourite free days out in Sheffield. Sun, sea and safety at National Emergency Services Museum, Sheffield. May 26th – 1st June, visitors will be able to climb aboard the RNLI Tyne Class Lifeboat. Activities on throughout the week. Included in museum entry. Try free family art activities at The Hepworth Wakefield. See huge dinosaurs at Jurassic Kingdom in Norfolk Heritage Park, Sheffield, 26th May-10th June (closed 4,5,6th June). Free fun family activities, living history characters, adventure playground and loads more happening at National Coal Mining Museum in Wakefield for Super Spring Bank @ Pit. Explore Magic Meadow at Meadowhall, 28th May – 3th June. Free, suitable for 4-10 years. Enchanted fairy forest every day throughout half term at Tropical Butterfly House, Wildlife & Falconry Centre. 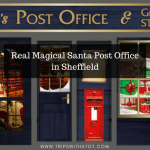 Guided fairy tours, tractor rides, crafts and more. Celebrate Sundown Adventurelands 50th birthday with free cake, daily from 26th May-3rd June. Spring Half Term at Chatsworth House will see crafts, trailer rides, guinea pig handling and lots more throughout the holidays. Enjoy free half-term Elmer stories and activities at Waterstones Orchard Square, Sheffield throughout half-term. Stories at 11:30am daily and crafts from 3-4pm. Get magical at Cannon Hall Farm for the Unicorn Festival, running every day during half term until June 3rd. It’s mega outdoors week at Medieval Mayhem with inflatables, sandpits and lots more outdoor fun all included in admission daily throughout half term starting bank holiday Monday. Make a mighty robot with The Making Of The Man Engine at Elsecar Heritage Centre, daily 10am-4pm, free. Wildlife Week at Heights of Abraham, Matlock Bath. Creature crafts, tours, caves, play areas and much more! Daily throughout half term. 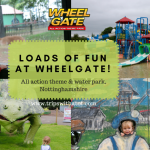 Dress up as a superhero or princess for a visit to Wheelgate Theme Park throughout half term and get a free pass for their partner park, twin lakes. 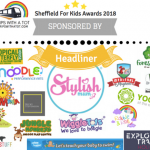 Kirklee’s Light Railway are encouraging kids to bring their favourite toys throughout half term for train rides and offering half price childrens fares. 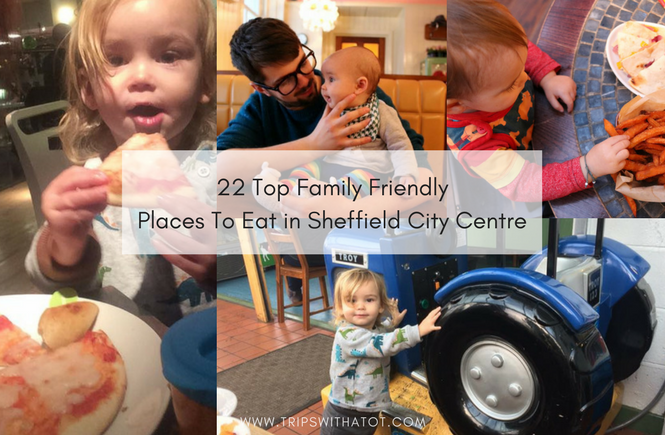 Lots of family fun going on for Sheffield Food Festival all weekend. Free activities in Winter Gardens 11-3 every day, whirlow hall farm tractor, science activities, make your own pizza and more. Find more amazing food festivals in this guide which covers all of the May Bank Holiday. Tudor Open Day at Sheffield Manor Lodge, Sunday May 27th, 11-4pm. £3 per adult & kids free. Followed by holiday crafts in the discovery centre on Tuesday and Friday, with ruins, outdoor play and more. 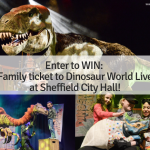 Meet dinosaurs at Dinosaur Live! 27th & 28th at Cast in Doncaster. Kids fun day at Champs at Malin Bridge on Sunday 26th, from 3pm. Face painting, characters, bouncy castle and lots more. Monday | Hillsborough Arena Family Fun Day, 11-4pm, rides, stalls, games and more. Family tickets available. Monday | Nick Cope’s Family Songbook peformances at The Montgomery theatre, 2-3pm. Monday | Half term fun at Aston Springs Farm, with bouncy castle, animal handling and games. Tuesday 29th animal encounter with tour. Monday | Wigfield Farm’s Sheepfest, 10-4pm, Barnsley. Live sheep sheering, arts and crafts and family treasure hunt included in admission. Tuesday | Tinsley’s Canals and River Family Arts Day, free, with boat races, dragon crafts, community art pieces, stalls and more. Tuesday | Discovery Day “If I Could Change The World” at Weston Park Museum, Sheffield, 12-3pm, free. On Wednesday and Thursday the Discovery Day theme is “Carnival”. 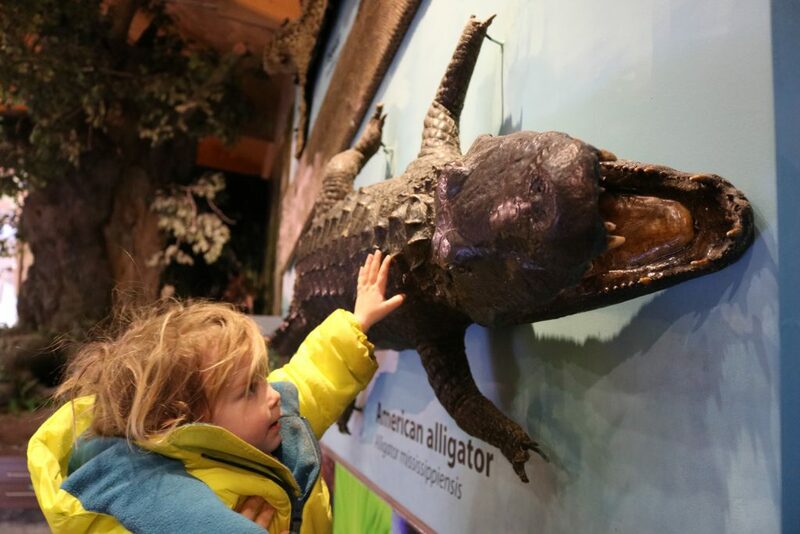 Tuesday | 4D animal sculptures at Clifton Park & Museum, 11-12:30. Wednesday | Outdoor Treasure Hunt at Worsborough Museum & Mill, Barnsley. 11-12:30pm, £3 per child. 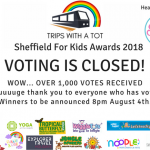 Sunday | TotFest at Moor Sheffield, free family event perfect for toddlers. Lots of free activities and entertainment throughout the day plus LEGO, dance, art, music, sport, storytelling, face painting, giveaways, children’s rides, hands on activities. Sunday | Family Open Hour – Pond Dipping & Alpacas at Holly Hagg, 3pm-4pm. Forge Dam S10 4GL, a wonderful day out with a lovely cafe, woodlands, playground and walking trails. One of our favourites: read this! Norfolk Heritage Park, S2 2PL large park with ancient woodlands, cafe and community centre. Be aware the playgrounds being renovated currently if you’re thinking of going and Jurassic Kingdom event is on during half term. Hillsborough Park and Hillsborough Park Walled Garden S6 2AS, a wonderful park with duck pond, library, beautiful walled garden (a must visit) and playground with new climbing frame/slide, plus fields for games/running around. Get your free trail here. 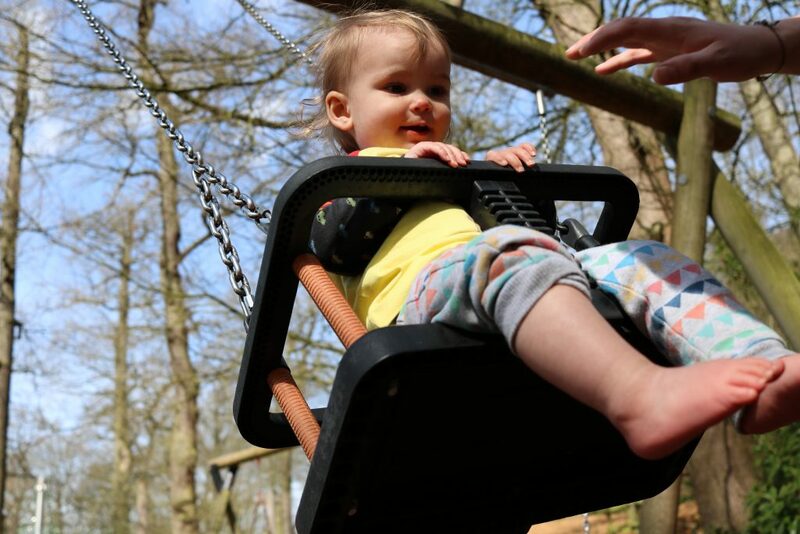 Cliffe Park in Dronfield has a new adventure playground, all free, with large play areas, cafe, sandpits and is proving to be very popular! Right near the train station, too. 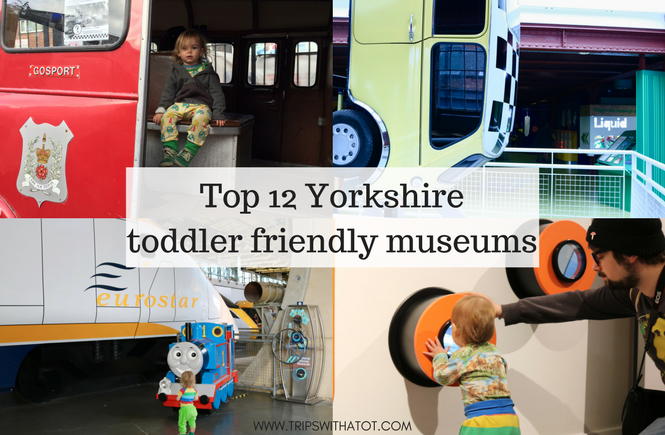 We recently discovered Wakefield Museum and it’s free, very fun and has lots to play with. MSI museum in Manchester is free and really, really good for all ages. Totally recommend that one. 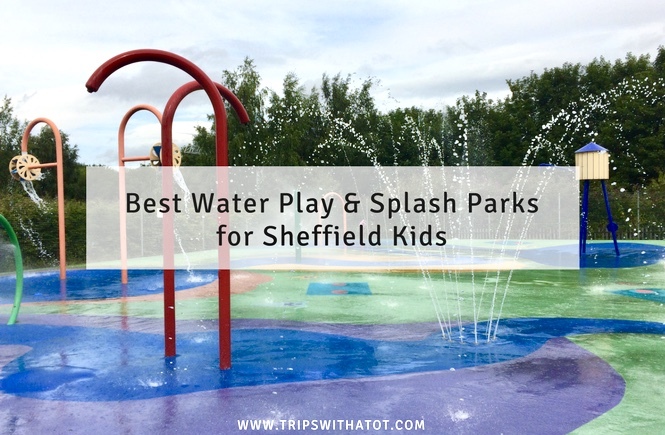 Clifton Park & Museum in Barnsley has a fantastic free water splash area, great playgrounds and funfair. Water splash on daily during Rotherham half term holidays. Here’s just a few reasons why I know you’ll love it! Aqua-Tek at Magna adventure Science Park in Rotherham reopens for half term and water fun is on daily, annual passes available. See our review here. 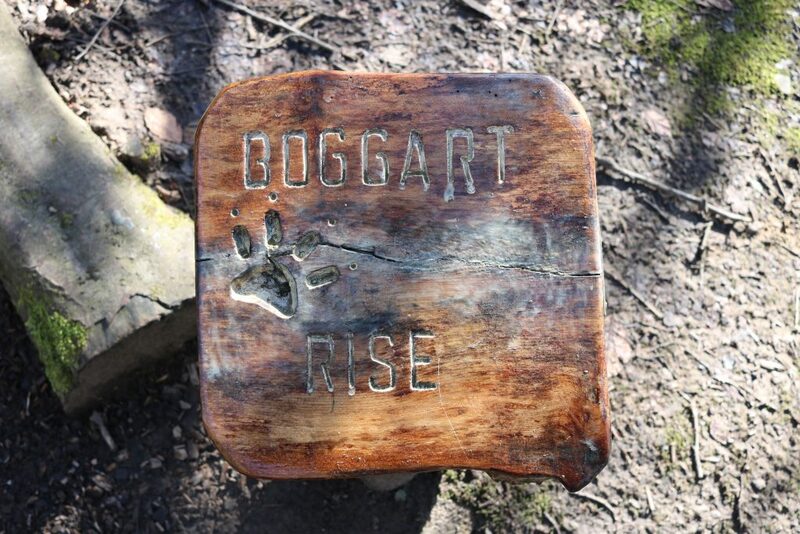 Hunt for boggarts at Longshaw Estate, National Trust on the edge of Sheffield. It’s free! 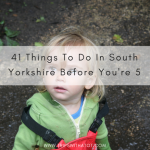 Plus you must go down for a picnic at Padley Gorge. 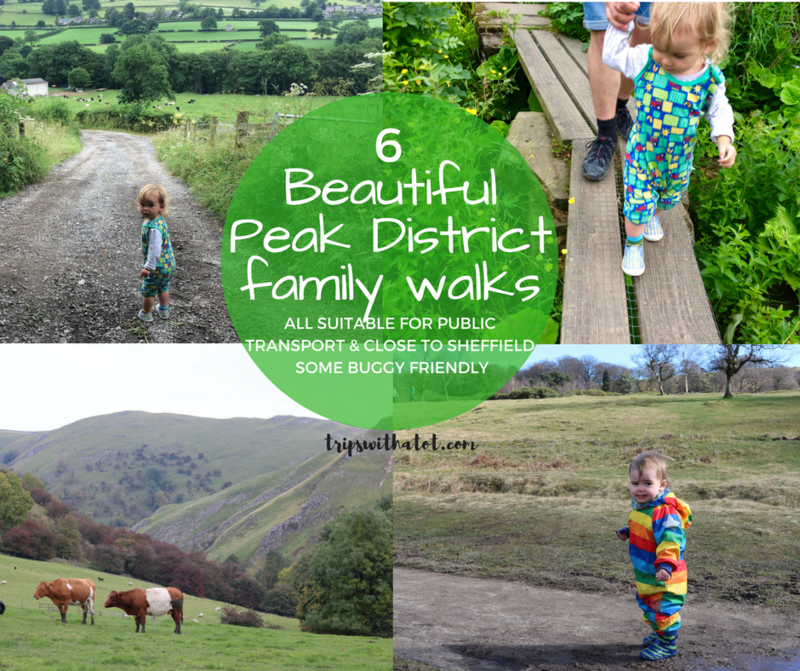 This is one of our most favourite days out in the countryside, near Sheffield, that costs zero! Wentworth Garden Centre, Rotherham – Lovely garden centre with shops, historic walled garden, aquatic centre, cafe and family farm. The family farm has 2 playgrounds and a sandpit, plus is opening a water/sand play area very soon. Here’s 5 reasons why kids love it. 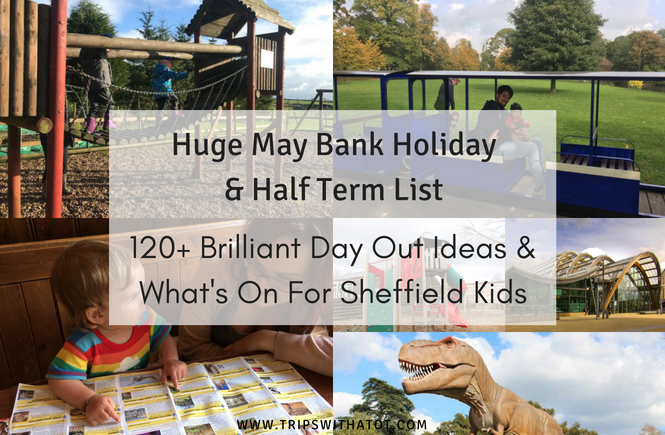 Sheffield Manor Lodge has historical ruins, discovery centre, outdoor play (maze, sandpit) plus crafts during half term. Why not go paddling in the wild? It’s free, always open and loads of fun! 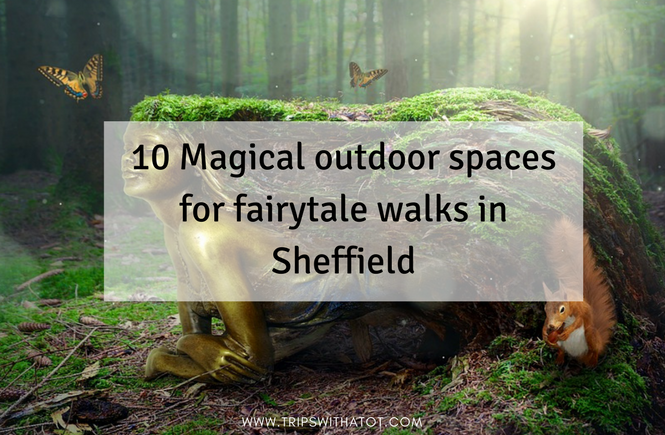 These are our favourite spots in Sheffield. Fancy a trip to London? 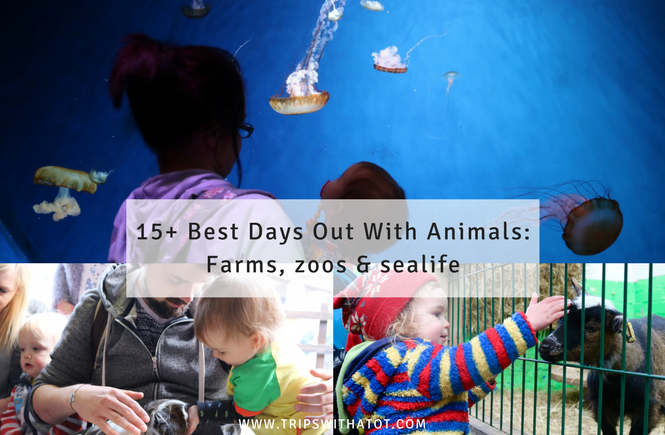 Here’s my guide to the best things to see and do for kids. 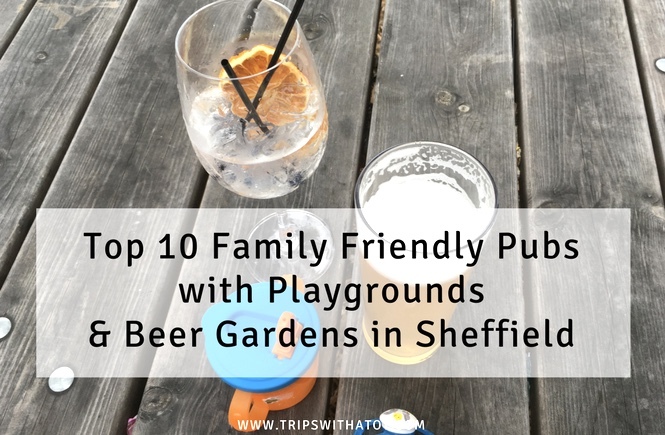 Looking for family friendly places to eat and drink in Sheffield? 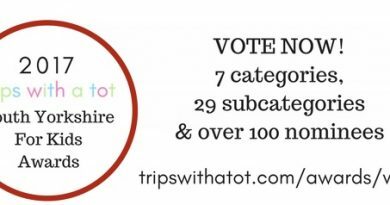 Don’t forget to follow trips with a tot on Facebook for daily ideas, day trip reviews, inspiration for things to do and lots, lots more! 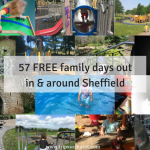 ← Free day out: Millhouses Park, Sheffield with free splash park!